Clocks are among the most popular and useful antiques and this all new price guide provides a comprehensive reference to timepieces from the 17th century through the 20th. More than 300 crisp photographs highlight detailed descriptions of varied clocks produced over the centuries. Each clock listing includes accurate pricing information. Features a special 16-page color section, as well as an informative introductory report on clock collecting basics, a glossary of terms, and a bibliography. With more than 1,400 entries, this compact guide is an invaluable aid to all collectors, dealers, and appraisers. Kyle Husfloen is editor-at-large of Antique Trader Weekly and the author and editor of several other antiques and collectibles guides. Mark Moran is a highly respected antiques expert and also the editor of Antique TraderÂ® Furniture Price Guide. This highly acclaimed book is essential reading for all who wish to have a thorough understanding of the sea, and is of specific interest to historians of clockmaking. 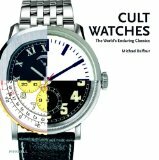 Book Description: This full-color book features 100 years of vintage wristwatches and pocket watches made from 1870-1970, the most popular period for watch collectors. Author Dean Judy provides collectors with practical information on what and how to collect, as well as what to avoid. Accurate prices and detailed descriptions accompany each listing. 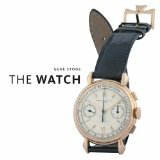 Before-and after-pictures illustrating the restoration stages, along with photos of near mint versus the average watch, will aid the reader in identifying and valuing their own collection. Famous Swiss makers such as Alpina, Breitling, Cyma, Tissot, and Zodiak are featured, as well as many American watch companies, including Bulova, Elgin, Hamilton, and Illinois. Dean Judy has been repairing, restoring, collecting, buying, and selling watches for more than 25 years. Book Description: Antique clocks are a common sight in many homes, being popular with collectors and often passed down through families as treasured heirlooms. This practical guide, fully updated, teaches readers how to apply the tools, materials and techniques needed to repair and maintain all types of antique clocks without paying the expense of hiring a professional. A worthwhile resource for the hobbyist or do-it-yourselfer who wishes to increase the value and pleasure they receive from antique clocks. Paperback from Abbeville Press, Inc.